Christopher Wylie told the Senate that CA was restricted to only working with Republicans. Although Cambridge Analytica (CA) is preparing to shut down, US Congress isn't done trying to get answers about the firm's tactics to harvest online user data for political research. Today, in the latest chapter of a matter that has affected up to 87 million Facebook users, the Senate Judiciary Committee is holding another hearing, titled "Cambridge Analytica and the Future of Data Privacy." 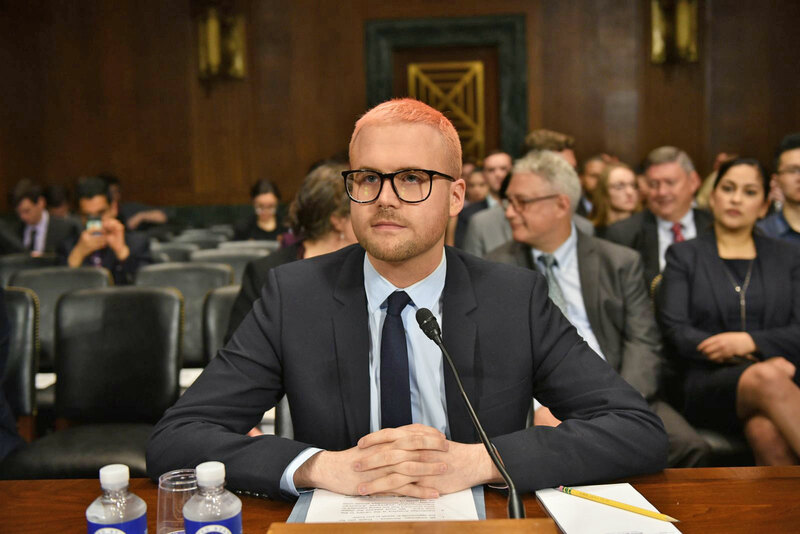 One of the people testifying before the panel of senators is none other than whistleblower Christopher Wylie, the former director of research at CA who helped break the story earlier this year. In written testimony to the Senate Judiciary Committee, Wylie said that what he bore witness to during his time at CA, between 2013 and 2014, should alarm everyone. "Cambridge Analytica is the canary in the coal mine to a new Cold War emerging online," he said. "We must address the digital echo chambers that are being exploited to algorithmically segregate American society. Online communities should unite us, not divide us." During his testimony, Wylie also told Senator Cornyn (R-TX) that after billionaire Robert Mercer began investing "tens of millions" of dollars in CA, the only restriction the firm had was to not do any work for Democratic political candidates. Mercer is, of course, a known GOP mega-donor who has backed President Trump and former White House chief strategist Steve Bannon, among other Republican figures. For many Democratic senators, including Blumenthal (D-CT), a main concern seems to be whether Cambridge Analytica violated US election laws, since it was operated by non-American citizens like Alexander Nix, the company's former CEO. The Federal Election Commission (FEC) prohibits foreign nationals from making any contributions (monetary or otherwise) to "any committee or organization of any national, state, district, or local political party." Senator Blumenthal said that, since CA was an offshoot of London-based SCL Group, the firm was essentially a shell company that may have violated elections laws in the US. Wylie said he believes those FEC instructions were never followed by CA, considering that Nix was CEO until last March and was actively involved in its research for US politicians, such as Senator Cruz (R-TX) and President Trump. With both Cambridge Analytica and its parent company SCL Group announcing plans to end their services following the Facebook scandal, it's going to be complicated for Senators to get all the answers they seek. That said, it is being reported that the FBI and DOJ are looking into CA. And if that goes through, this probe could reveal more details about the company's data harvesting tactics, like whether the user information it took from Facebook was actually deleted. "Cambridge Analytica is the canary in the coal mine to a new Cold War emerging online." During the hearing, Wylie said he had been contacted by the FBI and DOJ, but noted that he wasn't a target of the investigation. The testimony from Wylie may not have shed light on much we didn't know already, but it shows that the US government isn't ready to put the issue to rest -- and that's why the rumored FBI and DOJ investigation into CA will be important to follow in the weeks and likely months to come. Wylie ended his time before the Senate Judiciary Committee by calling for tougher federal regulation on all tech companies, not just Facebook. He said that, in the same way there are rules for safety in cars and planes, there should be a similar urgency in keeping every internet user protected.